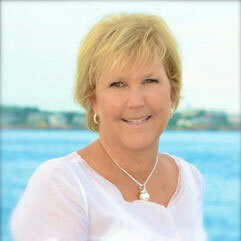 Kim Sardo started her career in the travel business over 40 years ago in Milwaukee, WI, working for a tour operator who specialized in vacations to Orlando, Florida. Upon moving to Miami 35 years ago, she connected with Unique Vacations, an affiliate of Unique Travel Corp., the worldwide representative of Sandals Resorts and Beaches Resorts, growing with them as she worked in various positions and departments. Working for an entrepreneur can be challenging but so rewarding as there is little structure on how to get from point to point. The key here is "team" work. Now living in Boston, MA, she works out of her home office wearing several hats. One that is close to her heart is the Beaches BFF Girls Getaway events which are hosted twice a year at Beaches Turks & Caicos in the spring and fall. Sitting with several female colleagues over 10 years ago around a conference table brainstroming what an ideal girls getaway would be for each of them, the Beaches BFF Girls Getaway was born and, as history shows, "off and running". She loves meeting the ladies from all over the globe and watch them transform as the trip unfolds for them. As woman, she states, we carry guilt for taking time out for ourselves and loves to hear the stories of the BFF attendees on how much the Beaches BFF Girls Getaway helped to heal them in many different ways. She loves making a difference in someone's life and feels she is helping do this with the Beaches BFF Girls Getaway events. She is a wife and Mother of two incredible talented and kind adult children, as well as two miniature dachshunds. She has a passion for health and wellness, yoga, meditation, writing wellness blogs and leading retreats.